2017 Precision 185 Centerboard and a 2017 Magic Tilt galvanized trailer. 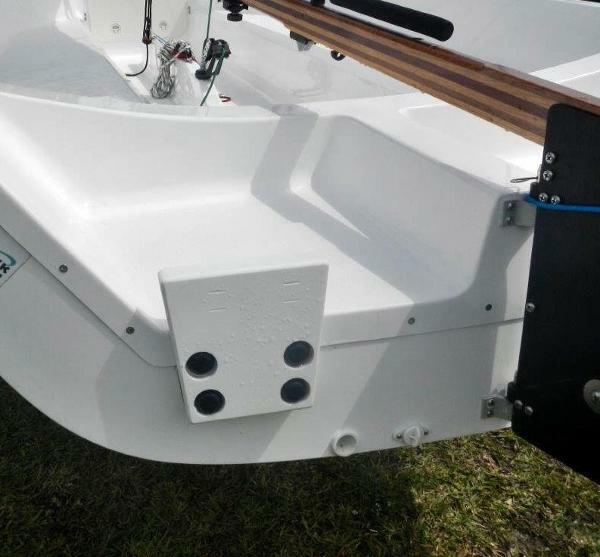 This package is loaded with options: Roller furling jib with jib sock, Mainsail cover, tiller cover, boat cover, Cockpit cushions, motor mount, head sail float, cooler, Positive Foam Floatation, kick up rudder, Large forepeak locker, self bailing cockpit, stern swim and boarding area, and Harken hardware. 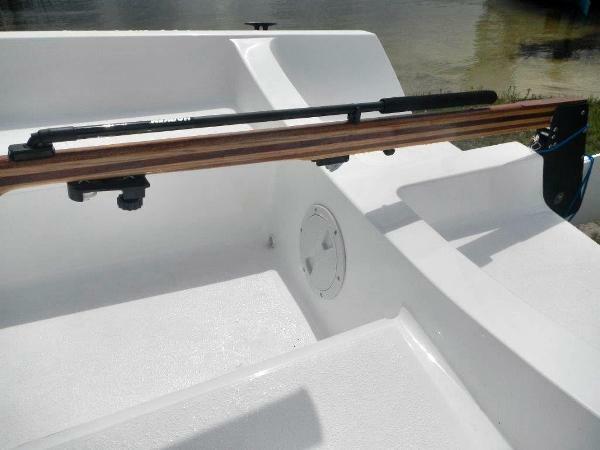 This boat is barely used and is in super condition! 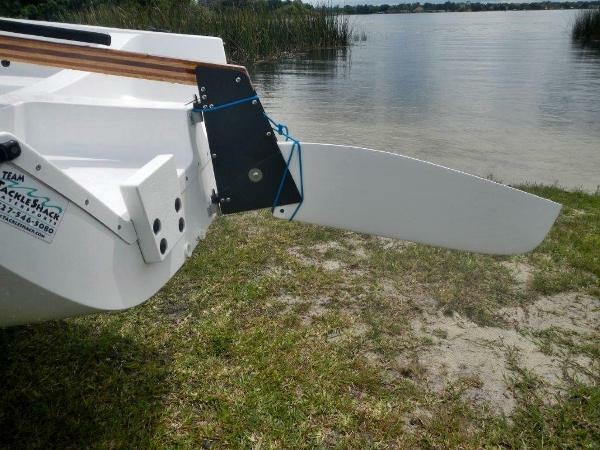 Vendeur Turner Marine Yacht Sales, Inc.
For sale a brand new Precision 3500 powercat driven along by 2x 300hp Suzuki DF300s in Awlgrip Sliver. A stunning looking cat, she’ll cruise all day at 22knots with a very comfortable ride and top out a shade under 30knots. Built by one of Thailand’s most respected and well known Australian builders this Precision 3500 is a pocket rocket with a very spacious flybridge, air-conditioned saloon and cabins with a decent sized stern entertainment area. There is plenty of space for 10-20 guests for a day and will sleep 6 in comfort in the 2 cabins and Saloon. If you are into fishing there is enough space to set up a chair and power out to the fishing grounds in style or head off to any of the nearby islands to relax with a BBQ off the pristine sands in Thailand. A week in the islands will be a dream with 2 full ensuite bathrooms with showers and electric toilets. If you want this beautiful 3500 in Australia or further afield she’ll get there under her own steam or jump her onto a transporter for an easy delivery. Precision 23 The Precision 23 is an American trailerable sailboat, designed by Jim Taylor. Precision = Small, Fast, and Fun Draft board up is only 24” Draft board down 5.3 ‘ Performance trailer with new tires; new Surge disc brake system; two spare tires and new spare leaf springs Mast raising system: with brake winch with stern roller support and Port & Starboard mast stabilization: trailer to ramp, rig and launch. New interior cushions Dometic Head never used New forward hatch with screen New electrical panel Tohatsu Sail Pro 6 hp long shaft engine: like new with less than 12 hours use Kenyon mast and boom Two sets of sails with hank on jib Optional roller furling and jib Starboard Composite Tiller, Motor bracket, and Companionway hatch slides Bimini frame Hull # 1 of more than 500 built This is an Excellent sailing boat and can enter shallow water with board up.